The Late Late Toy Show is going Under the Sea with its theme this year which is based on the much-loved Disney classic The Little Mermaid. Host Ryan Tubridy promises it will be "boatiful!" Toy Show day has finally arrived, which of course means the countdown to Christmas has officially begun. The RTÉ Christmas lights were switched on live on RTÉ2’s news2day programme this afternoon. RTÉ Cór na nÓg helped set the festive mood with some Christmas carols. We headed to the Toy Show set to get a sneak peek of what's in store for tonight's annual marathon of madness. Speaking to RTÉ Entertainment, Ryan Tubridy admitted that presenting the show "is one of the most ludicrous, insane jobs in the country. "And I’m the right guy for it because I love it! It’s insane." 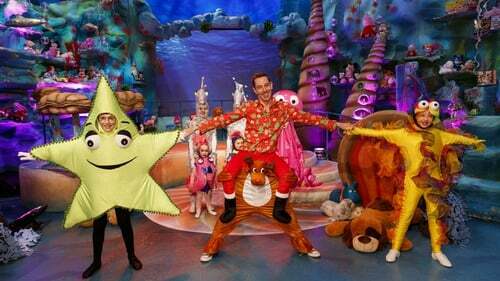 This year's show is particularly close to Tubridy's heart as he is a long-time fan of The Little Mermaid, and says that the Toy Show set this year will blow the previous years out of the water (sorry). "We’re going under the sea, I think it’s going to be gorgeous and I’m going to be a crab lobster and that’s very different! ", he said. "And it’s just a different type of set, it lends itself to a different sort of vibe, the costumes, the colours. It’s going to be boatiful." The effervescent presenter said that after being on set you nearly try to swim through it rather than walk because it’s so "marine and nautical and beautiful". 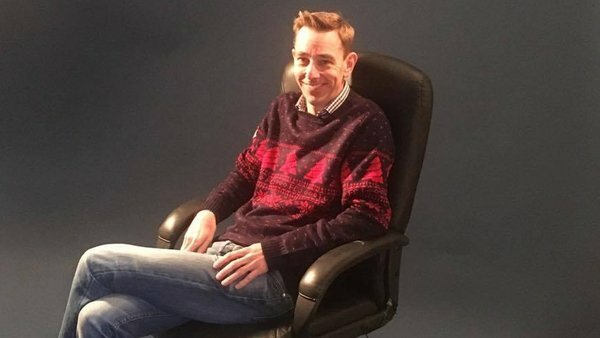 Tubridy will be dressing up as The Little Mermaid's Sebastian for a very special performance on the show where he will be showing off his dance moves. However, Tubridy joked that Dancing with the Stars won't be knocking down his door any time soon. As well as some stellar set-pieces, the host promised that this year's show will be a lot messier than previous years. "I was talking to the elves and they were asking 'where’s the mess, where’s the gunk, where’s the slime?'" Tubridy said. "They delivered. It’s going to be an all-out war tonight. It’s going to be really messy. Slime is big business. So if you think for one minute I’m not going to have fun with slime tonight, you’re mistaken." Toy Show host Ryan Tubridy promises to go "full Willy Wonka"
This is Tubridy's ninth turn hosting the Toy Show but he always gets a bit of pre-show jitters. "I’m giddy with excitement about it, but I do also realise there’s a weight of expectation, it’s about the kids looking up going 'you better be good'", he said. Luckily, the kids on set are always over the moon to see 'The Toy Guy' when he walks into the studio. "I feed off that excitement, and I get more giddy and wide eyed", he said. Tubridy concentrates on getting match-fit for the show by channelling some of his favourite screen icons. "I channel a lot of Will Ferrell in Elf, I channel a lot of Kermit the Frog, he would be a major icon in my life, I channel a lot of Basil Fawlty [from Fawlty Towers]." When the show is in full swing, Tubridy says he ends up going "full Willy Wonka". Tubridy has also revealed that "homeless children will feature" in tonight's show. As for what we can expect from tonight's show, Tubridy reckons there might be a few leaky eyes among viewers. The presenter admitted he even cried a few "man tears" when watching a few of the acts practice. "I’ve seen two acts that have actually moved me very much and are really beautiful," he said. Not in Ireland? No problem, you can still join in with all the fun, click here to find out how. And click here for more Toy Show fun!